A little maintenance goes a long way when it comes to your vehicle. For example, checking your car’s fluids regularly and replacing them when necessary can help you maintain your car’s efficiency and reduce the likelihood of mechanical damage or a dangerous accident. Once you get the hang of it, the process is simple. 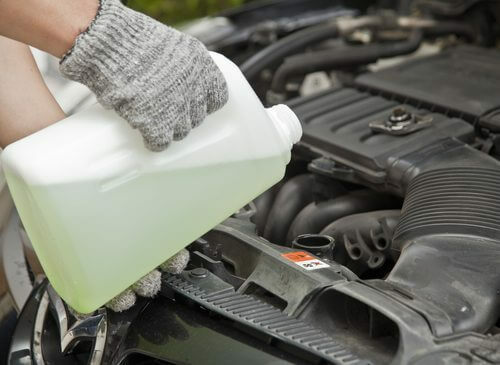 To learn how to check your vehicle’s fluids (and why it’s important! ), please scroll down. Locate the oil dipstick using your owner’s manual. Place one finger in the loop and pull the dipstick out (you may need to release a clip to do this). Wipe the dipstick on a paper towel or rag until it is clean, and then reinsert it. Push it in firmly as far as it will go. When you pull it out this time, read the oil level. The dipstick will usually have markings to tell you what is acceptable and what is not. If the oil is low, you will need to add more (and if you don’t know how, simply ask your mechanic for help). NOTE: You should be changing your oil according to mileage and time as well, using the directions found in your owner’s manual. So even if your oil level isn’t low, you may need to change it because it has broken down and become ineffective. SELECTED FOR YOU: How Does Antifreeze Work? Unlike motor oil, transmission fluid is usually checked while the engine is running and the car is in park (or neutral). Check your owner’s manual for more specific directions. There will be two dipsticks, which you should (as before) pull out, wipe off, reinsert, and pull out. The fluid should be somewhere between the two marks on the dipstick. If it is low or looks funny (brown, black, burnt), replace it. Locate the brake fluid container by using your owner’s manual or looking for a plastic reservoir with the label brake fluid. You may be able to read the fluid level through the plastic. If you can’t, open the cap and look inside. Low brake fluid can reveal another issue within the car, such as a leak in the brake line or worn-down braking surfaces. Have your vehicle inspected by a mechanic if you notice that your brake fluid is low. Like the brake fluid, the power steering fluid is likely located in a plastic reservoir. If you can, read the fluid level through the walls of the container. Sometimes there will be two sets of indicator lines – one for a hot engine, one for a cold engine – so read the one that suits your car’s condition. In addition, note that some vehicles these days have electronic power steering, so they don’t contain a reservoir of power steering fluid at all. When your vehicle is cool, check the coolant. It will likely be located near or inside the radiator (check your owner’s manual to find out). To check the coolant level, remove the radiator cap and look inside. Locate the indicator line and be sure the coolant level isn’t low. If it is, add more using the same type of coolant already in the car. SELECTED FOR YOU: Why Is Tire Pressure Important? Finally, look for the windshield wiper fluid reservoir, which is typically another plastic container. It may have an image of a windshield on its lid. Check the fluid level against the fill line, and add more wiper fluid if it is lower than the fill line or less than three-fourths full. You can find windshield wiper fluid (which is a mixture of soap and anti-freeze) at auto parts stores and most gas stations. Now that you know how to check your vehicle’s fluids, it is important that you do so regularly. In addition, be sure to change/replenish the fluid as needed to protect the vital components of your car. Motor oil acts as a lubricant, protecting the engine’s components and making sure they move smoothly. It also draws heat away from the combustion chamber and keeps the engine clean by preventing the accumulation of carbon and other combustion byproducts. To use a cliché, motor oil is the lifeblood of your car. Without it, the engine would break down. Transmission fluid lubricates the transmission (the gear system of the vehicle) and keeps the gears moving smoothly. Brake fluid transfers the force that you create when you press the brake pedal directly onto the wheel hub. It also serves as a lubricant and prevents corrosion. Power steering fluid improves your steering experience, making it smooth and easy. If you’re running low, you may notice strange sounds like creaking. Coolant prevents your car from overheating by absorbing the engine’s heat and then dissipating it through the radiator. It can also be called antifreeze. Windshield wiper fluid, as you surely know, allows you to clean your windshield while you’re on the run. It is squirted out by an electrical pump (typically) and then removed by the windshield wipers. Looking for a mechanic who can check and change your vehicle’s fluids? If you’re located in Springfield, Missouri, or northwest Arkansas, give ASE-certified Seeburg Service Center a call or contact us online. We would also be happy to teach you how to check your vehicle’s fluids. 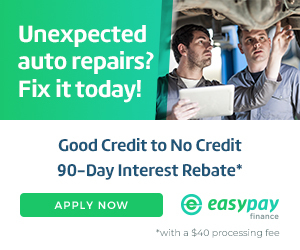 What Is Involved in a Car Tune-Up?